Report has it that Manchester City has agreed personal terms with lexis Sanchez over a move to the Etihad. Alexis is will out of contract by the end of the season meaning that Arsenal risk losing him on a free transfer in the sumer. 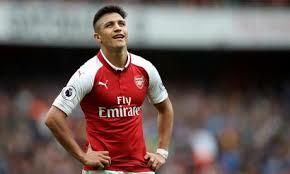 But Gianluca Di Marzio claims Manchester City have reached an agreement with Sanchez that he will receive £11.5m-a-season and be handed £26.5m bonus when he officially signs for them. Report also has it that Sanchez is also desperate for an official announcement to be made by City before the January transfer window runs out. Is Alexis Sanchez a good buy for City?